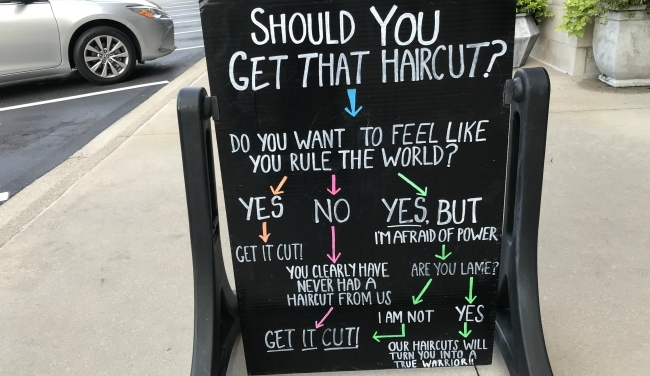 The flow chart on this sidewalk sign caught my attention. Simple. All options lead to the “right” answer. It reminded me of an important truth in sales. Every customer is different, needing a different approach to lead them to the end goal. As to this sign, I got the haircut. While it might not have turned me into a “true warrior,” it was worth it. And I needed to reward this person’s creative efforts. Just because. And to say thank you.